Colourful cultures‚ colourful art & a colourful city. In Melbourne we have it all. Like fireworks in the day‚ this artwork is for lovers of Melbourne. 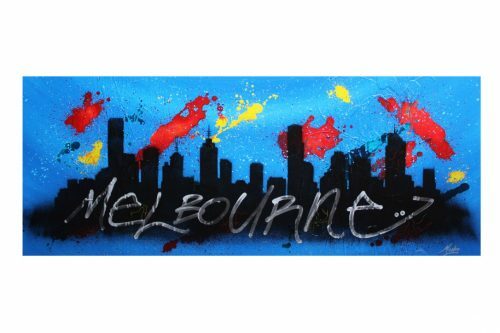 The Best City in the World surrounded in Melbourne Street Art. Nothing is more Melbourne than Stencil Street Art. 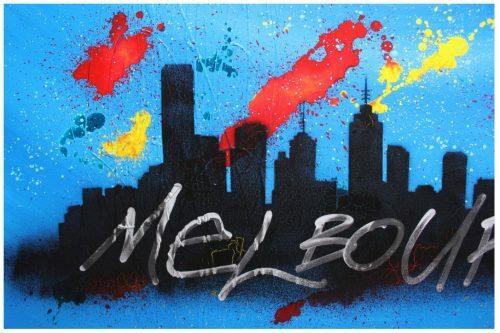 Melbourne & New York are the biggest cities in the world for street art. This throws back to Mendo’s talents as a teenager. Extremely small batches are released as Mendo creates these more for fun than his Custom Abstract Art business. This Stencil was hand cut by Mendo & will be used for a limited amount of times.